Just a heads up, I am obsessed with the SBS miniseries Versailles. This is book set in the same place – France – and time – 1673. It also features real characters from the time. So that may have coloured my reading of it. Either way, Chris Womersley is a wonderful writer. 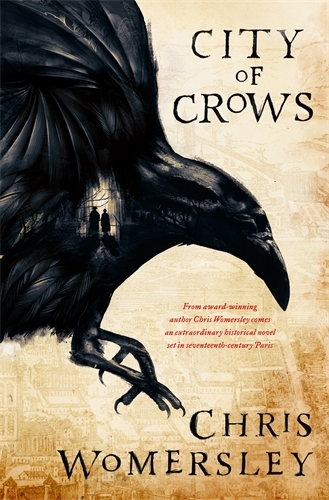 City of Crows is a dark and mysterious novel centred on Charlotte Picot’s determination to save her surviving child from child smugglers in Paris. At the centre of the novel is the question, after losing three children and your husband how far would you go to save your son? There is magic, deception, spells and nobody is what they seem. Similar to Hannah Kent’s The Good People, this novel has you second guessing yourself until it’s end.